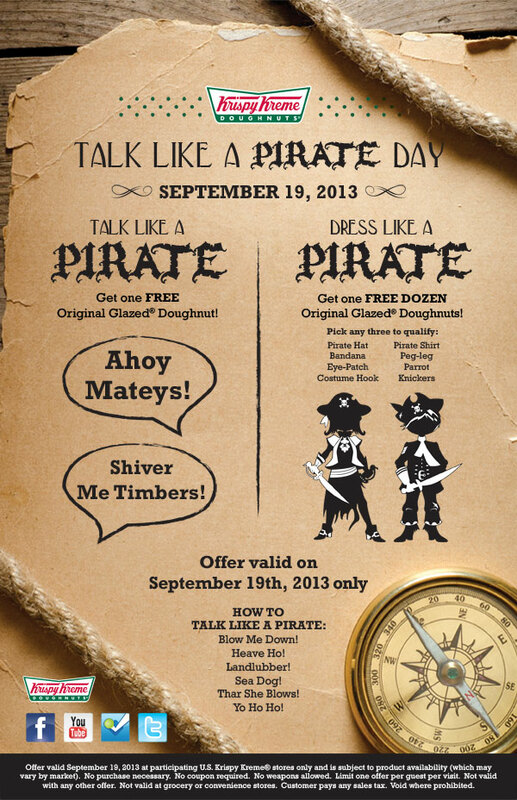 12 Free doughnuts = dress up like a pirate (it's supposed to be 3 items or more...meaning you can't just wear an eye patch to get the 12 free doughnuts). So if you're in the mood, go get a free doughnut! Thanks Nikki for mentioning this to me! HERE's the link for more info!